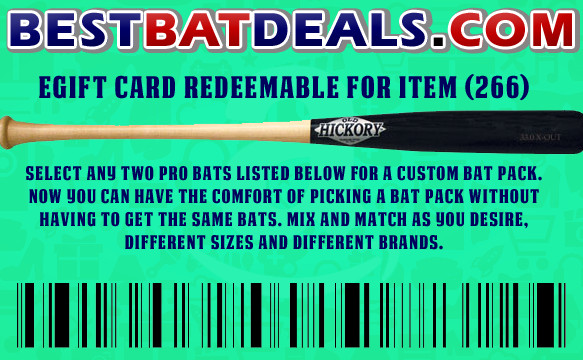 $135.00 BestBatDeals.com Gift Card. Buy this gift card and it can be redeemed for item 266. 266 is our most popular item. Two Bat pack of any brands.